Founded just 2 years ago in 2016, Limitless Hosting has already made a name for itself! Limitless Hosting started off as a game server provider (GSP), quickly introducing web hosting in 2017. Limitless Hosting offer a 99% server uptime – an important feature for any website as I’m sure you know! Not only do they provide good performance stats on the face of it, their customers also appear to be saying great things about them too! Check out their Facebook page with 5 star reviews! Things have started off in a very positive light for Limitless Hosting, so I wanted to find out more. To begin, let’s take a look at what types of web hosting they offer, and what you’re going to get for your money! It’s always refreshing to see a web host offer multiple data centers. For me, there’s nothing more frustrating than finding a great host with only one server location. Limitless Hosting have a decent reach across their servers, covering the U.S.A., Europe, and Singapore. Being based in the U.K., I wanted to know what Limitless Hosting’s Europe web hosting had to offer. I was pleasantly surprised to see 5 different options when browsing their European product. In addition to this, all of their plans include a free SSL, Softaculous installs, SSD storage, and a 99% uptime guarantee. This host’s 4 main packages offer a wide spectrum of goodies for everyone! I could instantly tell that they have created their plans around individual needs, ensuring that all of their customers would benefit. 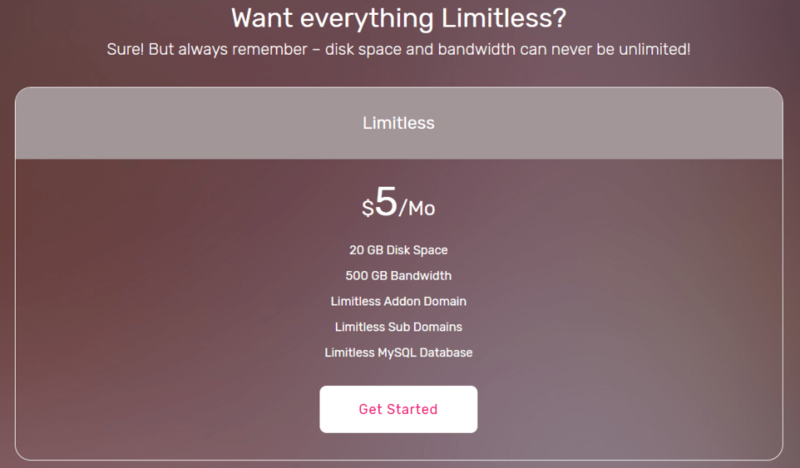 Now, admittedly, on the face of it, none of Limitless Hosting’s plans appear to offer unlimited disk space or anything else for that matter. But, let’s not forget that the average web page size is a mere 2MB! If we take the very small plan and consider that 1000MB makes up 1GB… well, you can do the math! The web host’s themselves have pointed out, quite correctly, that nothing is really unlimited. If you take a look at any web host who offers unlimited disk space, bandwidth, etc. you’ll notice there are actually restrictions within their terms & conditions. 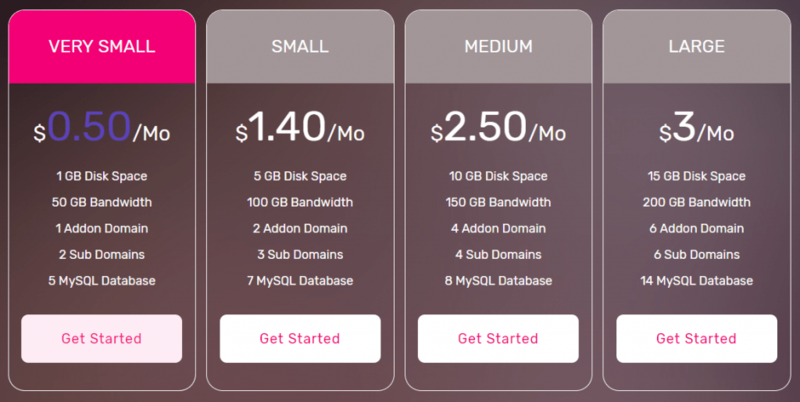 When a web host says unlimited, it really means that if you use a web hosting plan for it’s intended purpose, you’ll never require more than what’s on offer. Medium – Suitable for most personal website needs; online portfolios, writers, local cafes etc. 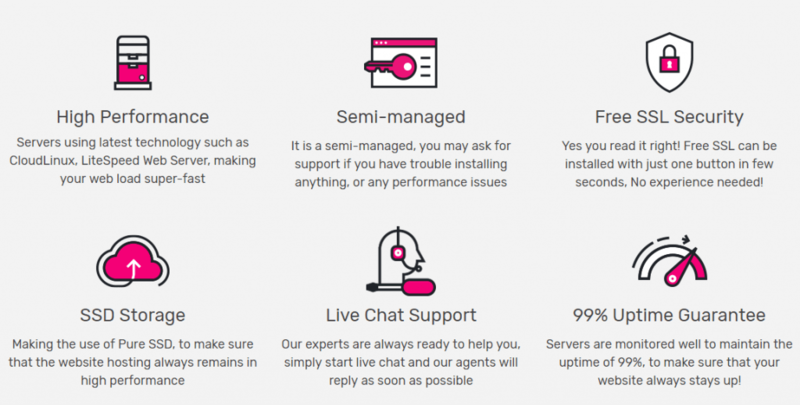 It’s never going to be easy to knock my number 1 web host off the top spot, but Limitless Hosting’s plans and prices certainly place it as a rival! Comparatively speaking, their Limitless plan for only $5 per month really does offer a great deal on the outside. This is one of my favourite parts about reviewing web hosts. Why? Because a host can look great from it’s pricing plans, but fall flat on it’s face when you consider what they actually offer. I was keen to peel off the layers with Limitless Hosting because I honestly feel like they’ve sucked me in already! All shared hosting plans use the latest technology. I don’t really care what the technology is, I want to know what it does! Well, in the most simple terms – it makes your website load really fast. People of 2018 have become impatient! If your website doesn’t load within around 3 seconds, you’re going to lose traffic – simple. Make sure you keep an eye on your website’s speed by using a tool like Pingdom (it honestly is so worth it)! That’s right, if you need help with an install, or your performance isn’t looking great, this web host will be happy to help you out. What’s even better is, they don’t charge for it! I love a web host that offers live chat. I’ll be honest, I don’t have time to call for support or wait days for an email response, so this is definitely a feature that grabs me every time. There are other hosts like HostGator who offer a 99.9% uptime guarantee, but for a 2 year old company, I don’t think 99% is too shabby. I would, however, like to see this go up to 99.9% over the coming years. If things go wrong with your website or your web hosting, being able to turn to someone is incredibly important. Even with an uptime guarantee and lightning-fast performance, there’s always room for a blip! Contactable by tickets, knowledge base, or live chat, you shouldn’t find it too difficult to get in touch with Limitless Hosting. I contacted an agent via live chat who was incredibly knowledgeable and helpful. In my eyes, Limitless Hosting has come a long way in just a couple of years. No, it doesn’t have the longstanding reputation of some of the big hosting names out there, but I wouldn’t be surprised if in 10 years we’ll be looking back and remembering this review! Whether you’re a gamer looking to host a web forum for your community, or you’re considering branching out in the small business world, Limitless Hosting definitely has something to offer. Starting from the price of a chocolate bar at only $0.50 per month, I can highly recommend Limitless Hosting to get you started.